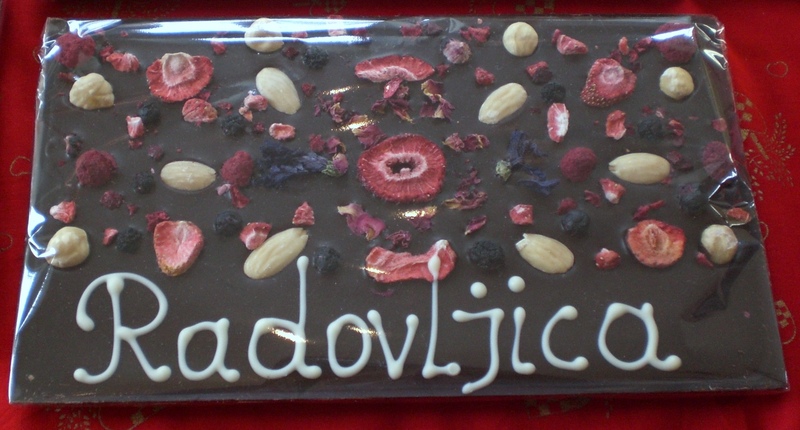 A Choctastic Weekend in Radovljica! Well, it’s been quite an eventful week all in all! After one of the longest, snowiest winters ever, this week saw temperatures up to 25 degrees and Thursday was the warmest day for over 7 months and although it’s cooled down a bit now and is raining, the fine weather looks set to return later this week. It’s so great to be able to be outdoors more and to be dressed in light clothing again, no more being buried under layers and layers of thick clothing! I changed the tyres on my car this week, well not me obviously, but I took them to be changed – not every exciting but necessary. In this part of Slovenia, by law you have to have winter tyres between 15th November and 15th March. However, with the long winter this year most people, me included, waited longer than usual to be sure that we have really seen the end of the snow (surely we have now!) before changing to summer tyres. It can be a bit of a faff having to change the tyres twice a year, not to mention the cost, because also it means having to have 2 set of tyres and these have to be changed every 5 years, regardless of the profile or how much you drive. Even if you had your car in the garage for 5 years, you would have to buy new tyres. Still, it’s all just a part of life here! 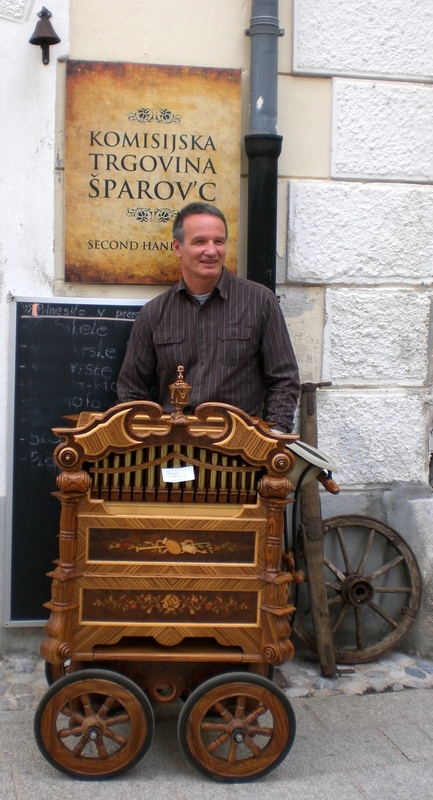 Last week Radio Slovenia International visited Radovljica to do a live broadcast and I was interviewed. I was asked to give an insight into life here as a foreigner, what is great about Radovljica and the differences between life here and in the UK. 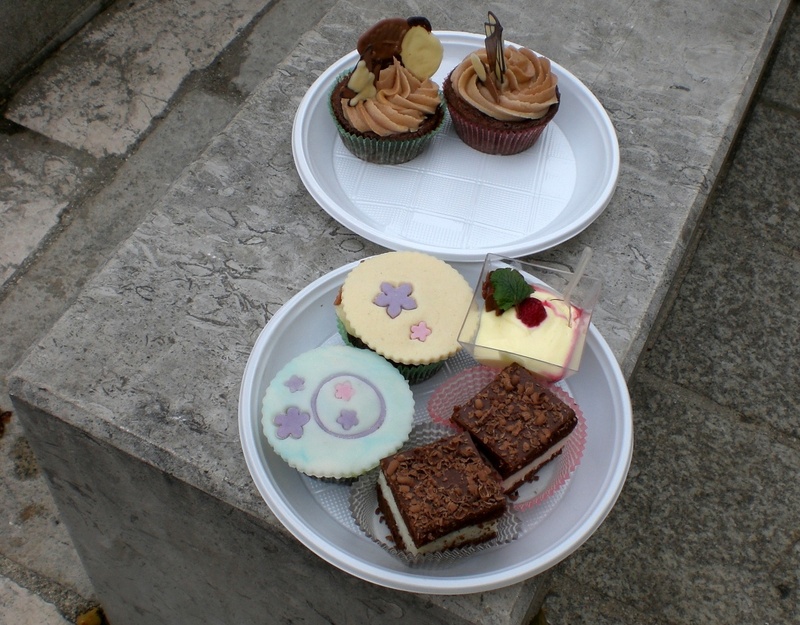 The long awaited and much anticipated 2nd Festival of Chocolate took place this weekend in Radovljica. It was of course my duty to attend and taste as much chocolate as possible in order to be able to blog my findings! After last year’s unexpectedly high turnout, this year the event was even bigger and better and also spanned across 2 days. It took place in Linhart Square (Linhartov trg) in the old town centre and in the Radovlijca Mansion House (graščina). There was every kind of chocolate product you can imagine – from the more tradition to some highly unusual and unique flavour combinations such as dried figs with basil coated in chocolate, chocolate with pumpkin seeds, chocolate with aniseed and quince chocolate cake. In order to sample the products, tasting coupons are bought, which cost 0.50 cents each then it’s a case of wandering from stall to stall deciding which of all the delicious things on offer to taste – decisions, decisions, and as you can see from the pictures below, I managed to amass quite an impressive collection! It would be impossible to pick a favourite, since I generally love anything and everything chocolate related, although I have to confess I’m not a fan of bitter dark chocolate, but other than that I love it all! Among my favourites was the Preseren’s Cylinder dessert, the speciality of the team at the Lambergh Chateau and Hotel in Dvorska vas. It consists of a chocolate waffle, Parisian cream, dried figs marinated in cognac and chocolate syrup. They had prepared miniature versions especially for the event but I hope to go and taste the full size version some time soon! The students from the Radovljica School of Catering and Tourism (SGTŠ Radovljica) also prepared some delicious cakes and biscuits and the chocolate cocktails from the Lake House Inn (Jezerska hiša) also went down rather well! In addition to the stalls, there were also loads of side events taking place including cooking shows, workshops for adults and children, street performers, a chocolate themed fashion show, a cocktail mixing show and a theatre improvisation performance. After the success of this event, it’s sure to become a regular fixture on the Radovljica Event Calendar – http://www.radolca.si/en/ – and I would definitely recommend a visit whether you are a chocolate lover like me, or for any chocolatiers, from both Slovenia and abroad, who wish to showcase their products to a large audience. After all that indulgence, it’s time to get running/cycling/hiking again. It is now possible to get up to around the 1000 metres mark before encountering snow, although in shady areas there is still snow lower than this. However, above this the snow is still deeper than I am tall and unfortunately it still not safe to go hiking high in the mountains right now. An illustration of this is the report I heard on the news this week about how workers are working 10 hours a day to try and clear the snow from the Vršič pass. At 1611m, Vršič is Slovenia’s highest mountain pass. It crosses the Julian Alps and is usually closed over the winter due to the snowfall and high susceptibility to avalanches. This year, with the extreme amount of snowfall, it is taking longer than usual to clear it and in some places, due to avalanches, there is up to 8 metres of snow – unbelievable but true! Although it provides a vital link between Gorenjska and the Soča Valley, the Vršič pass is in itself a tourist attraction and one about which I shall definitely be writing more in the weeks to come. « It’s Spring and Radovljica is Alive!